With a jetlagged and exhausted Susie sleeping off her New York travels I was eager to make use of a quiet weekend by immersing myself in the printed word. Having started my weekend with a trip to Goodhood (future blog post in the works) I took advantage of the store's excellent array of difficult to source publications and zines. Somewhat spoilt for choice I turned to Kyle Stewart for his recommendations. 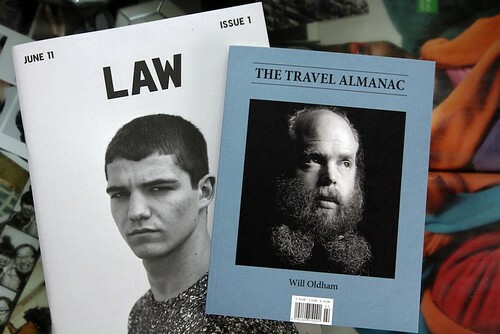 I left with the debut issue of LAW and the second issue of the The Travel Almanac.